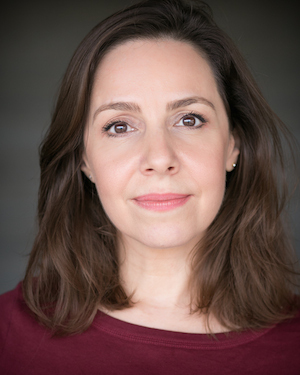 Melissa has had an impressive career in TV, Theatre, FIlm and voice work. Most recently, she appeared in the lead role of Crush Hour, a new comedy short written and directed by Natalie Malla, one of the script editors for Taboo starring Tom Hardy. As well as this, Melissa has appeared in Disney's Alice Through the Looking Glass, Invitation Only (Reframed) and Route Canal, which won Best Comedy 2016. She has regularly worked at The Liverpool Playhouse Theatre under the direction of Richard Williams and has appeared in The Glass Slipper at The Southwark Playhouse, Starsky and Hutch Ruined My Life at The Gielgud Theatre, A Midsummer Night's Dream at The Orange Tree Theatre and Chicken at Hackney Empire. Melissa is part Scottish and part Persian and this wonderful mix has gained her notable work as the voice of Expedia and the narrator of series 3 of Culinary Journeys. Melissa has also appeared in several well-loved TV dramas such as Deep Cuts, Casualty and The Bill.